Yep I can control the fans, read the temps. Everything shows up with the addon installed and it shows the proper fan rpms, just missing the tab to control it :). Warning: I've never written anything in PHP before, but I modified the get_highest_temp function to read the temp from /var/local/emhttp/disks.ini. This allows the script to detect the temp of both SAS and SATA drives. Well you gotta start somewhere, good job. If you look in the ipmi_helpers.php, I already have a function get_highest_temp that gets the highest hdd temp from the disks.ini, devs.ini and from UA's json file. This is for the webgui only. I don't want to use the ini files for temps in the fan script because then it's tied to whatever interval unraid updates those temps. The script needs to get the temps on its own and act accordingly. So I need the smartctl - A output from those drives. You can try to guest the SMART device type using a function like get_smart_type in this file. I had a feeling the whole time that I was probably reinventing the wheel... but once I started I was determined to find a way 😂. A few posts back in this thread I posted the output of smartctl -A from a SAS drive. Totally agreed that it's a better approach to get data directly. Derived data is usually a recipe for disaster. Just takes a while to come to a boil. I had a feeling the whole time that I was probably reinventing the wheel... but once I started I was determined to find a way . A few posts back in this thread I posted the output of smartctl -A from a SAS drive. Totally agreed that it's a better approach to get data directly. Derived data is usually a recipe for disaster. Just takes a while to come to a boil. Ok. I wasn't sure what command you ran before. I took a quick look at the code and I think I'd be able to hack in support for display of this (ideally it'd be a historical graph backed by a database, but we can start small). I'm mostly interested in the current power reading. How should I go about adding this? Thanks! 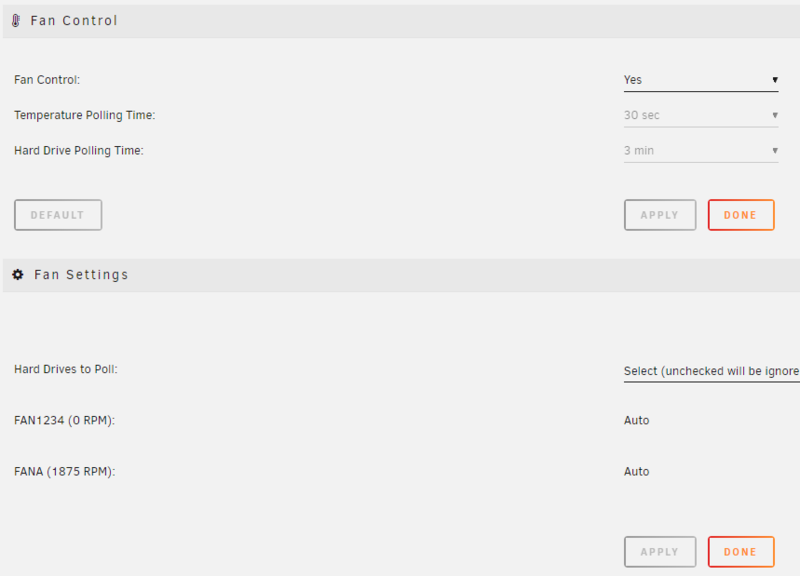 @dmacias is this something that could be added to your plugin it was provided by bonienl? The IPMI plugin would need to add support for the dashboard display. The above code extract comes from the System Temp plugin. 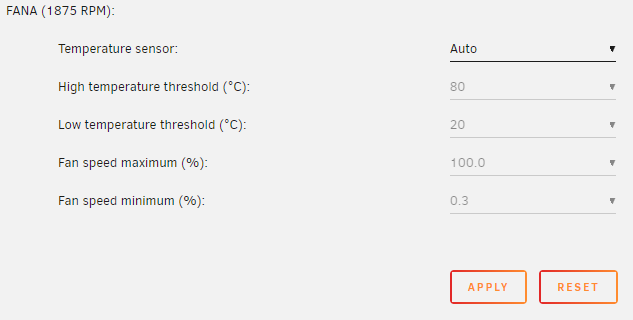 It checks the presence of the field 'mb-temp' and puts the temperature readings in the fields 'cpu-temp' and 'mb-temp' which get displayed on the dashboard page. Where and what were you wanting displayed? I'm not sure how many would be able to use this though. Do you need an enterprise power supply? I've been meaning to check into the dashboard for 6.7+. Thanks that helps. I'd like at least a current power reading on the Dashboard, and preferably a little history graph. At least people with Supermicro gear (yourself included) should be able to use it, and I think Dell might support it too.. It won't work without a pmbus power supply. Mine shows all 0's and not available. I wouldn't put too much effort in hacking something for the dashboard. It's different for 6.7+. When I look at adding dashboard for 6.7, I'll look at this. But if you can put something together that's cool too. OK cool I'll wait for 6.7 and check back in. Thanks! 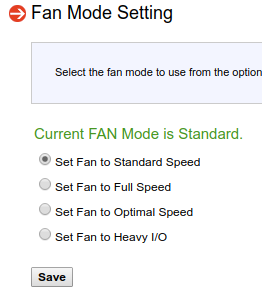 Is there a reason why my FANS 1-4 are all grouped together and there is no FAN 5 in my Fan Settings? I've got the latest BIOS and IPMI BMC for my board (https://www.supermicro.com/products/motherboard/Xeon/C600/X10SRM-F.cfm). There are only 2 fan settings that can be controlled. FANA and all the other fans. FAN1234 is just what I chose to call it since most the boards had only 4 fans plus FANA. Is that a recent change? I just upgraded my board from an ASRock Rack board and with that IPMI I had that ability to configure all 5 of my fans separately. Got it, that makes sense than as to why it's different. I appreciate the quick responses. My main server contains a X11SSL-CF board. IPMI was running very well but since a while the Fan Speed Mode is set at FULL. Hence my fans are running at full speed and only if I am setting it back to Standard or Optimal, IPMI plugin is taking back control and the fans are running at much lower speed. Maybe I overlooked something during the recent IPMI updates? Did you give it some time after you started the fan control? How long is your polling time? Also are your thresholds set with the editor for your fans? I searched the topic, but I didn't didn't see anything that answered my questions. I'm trying to figure out a few things. The plugin references a hard drive to poll for temp, so does that mean the script would adjust fan speeds based on the temp of a hard drive instead of a CPU? My goal is to have this run the CPU fans, which I have on "FANA" and "FANB". Which do appear to be set at full speed. I've load tested them, and they keep temps down even at 100% extended load (30mins +)... however, 100% fan isn't exactly optimal. And when I turn the IPMI fan control off and use the SM "optimal speed" setting the fans jump up and down from 400+/- RPM to full 1800 RPM... even at idle. Which doesn't seem right. Also, if you notice below... FANA is denoted correctly, but FAN1234 shows up instead of FANB... which is seen by the system. I'm assuming I'd have to edit the config or something to get that to be referenced right? So on advanced view, do these high and low values come from a referenced HD? Can I make it reference CPU temps instead if that's true? I run the case fans on a standalone controller and really I'm looking for the best way to control the CPU fans here. You may need to change the minimum fans speeds. these are the ones i change to on my X9DR3 you should be able to run command from command line and use IP address for the BMC port. OK, thanks for that info on the thresholds. But my question is more surrounding if it's referencing the hard drive temp instead of the CPU... minimum threshold isn't going to help me. And when I'm loading it up (one processor doing a video conversion via handbrake) it kicks the fans up appropriately and holds acceptable temps. Although it seems I might be getting a bit of thermal throttling, but I need to do more testing on that. I guess at this point I'm most interested in knowing if I can manage the fans referencing the CPU temp instead of a HD temp which makes no sense to me... so I had assumed I'm doing something incorrectly. Which wouldn't be the first time.